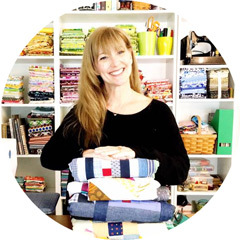 Last summer I made a beautiful quilt for the Liberty Lifestyle blog. I was really very honored and a little overwhelmed since it was the first quilt tutorial they were featuring ( no pressure). The Lovetag Quilt is still in my home being loved all the time. My first attempt was an EPIC FAIL! I did not let that stop me and moved on to my next idea that was not much better but the third time was a charm but at the last minute...I cut it 1/2in TOO SHORT! I did not have enough scraps to make another from the start so I did what all good sewers do...IMPROVISE! I decided to do something a little different. I finally ended up with this beautiful planner that will hopefully bring you inspiration whenever you take it out! 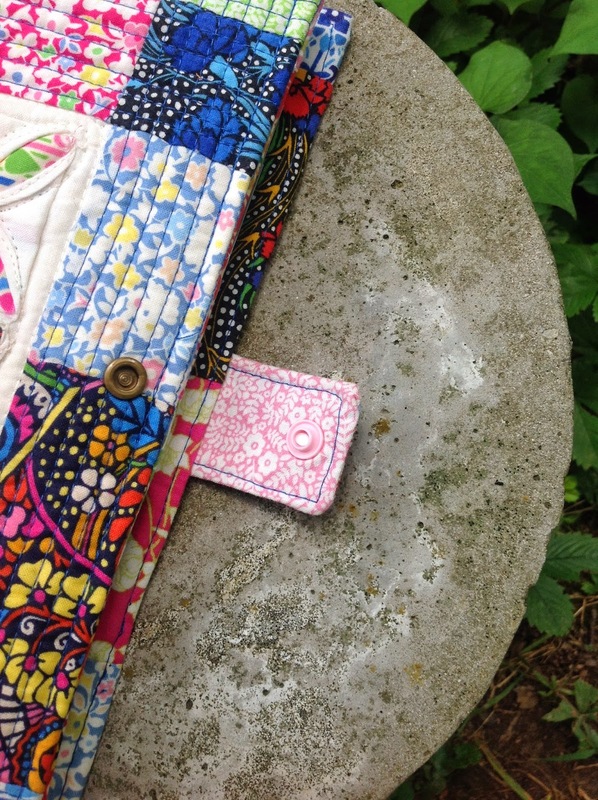 Please visit The Liberty Craft Blog to see the FREE tutorial for The Cathedral Window Sewing Journal Cover. The quilting was so perfect and straight and I love the way the 40wt shows off just a little bit more than the 50wt :o) ! And that was the other reason I could not start over, the quilting was amazing and that never happens for me! I used resin snaps but you can use velcro for your closure. I hope you like this project as much as I do! Kim, it is just beautiful! I like your addition of pocket. Looking good! 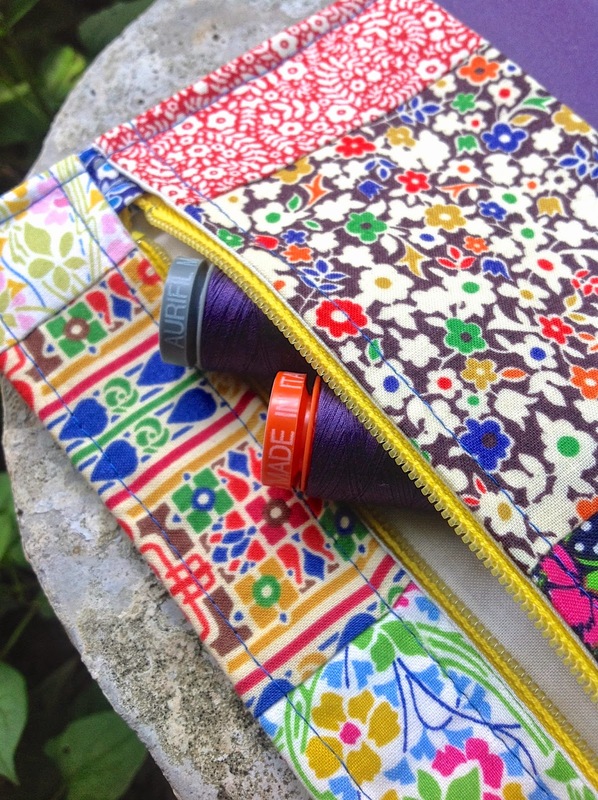 I love the blue of the thread against the patchwork ! Sweet sewing journal and love all that Liberty ~ I've got a bunch of it just waiting to be used! I love it! The cathedral windows, all the lovely fabrics and that zipper pocket so all your smalls do not tip out. Kim, this is so cool! Love your pattern and the way you incorporated all those lovely fabrics!